Are you ready to get started on creating your first Envira Gallery? 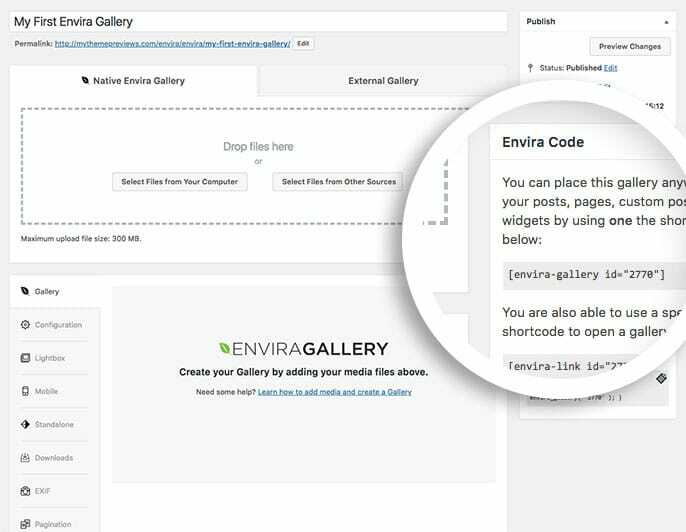 If you’ve already installed Envira, this tutorial will give you a step by step guide on creating your first Envira Gallery. What file types are supported on Envira? 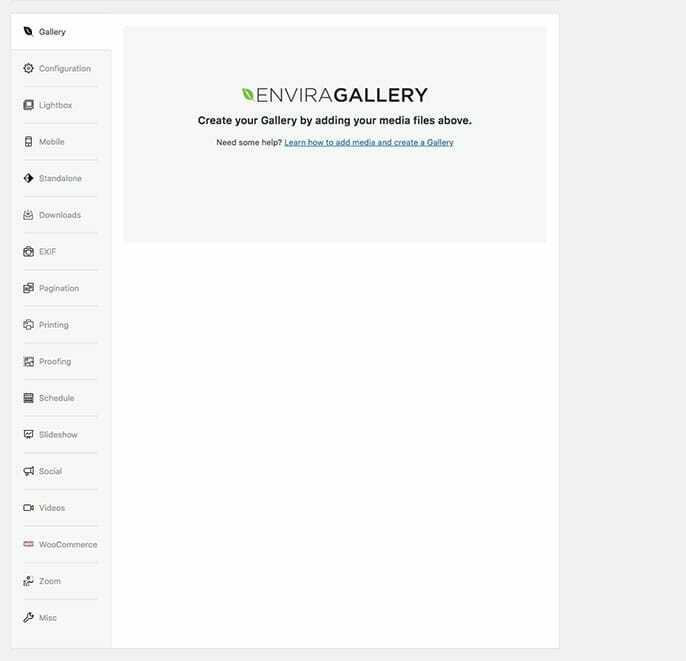 Your first step in creating your first Envira gallery is to click the Add New button in the Envira Gallery admin screen. This will open a blank gallery screen ready for you to configure and add your images. 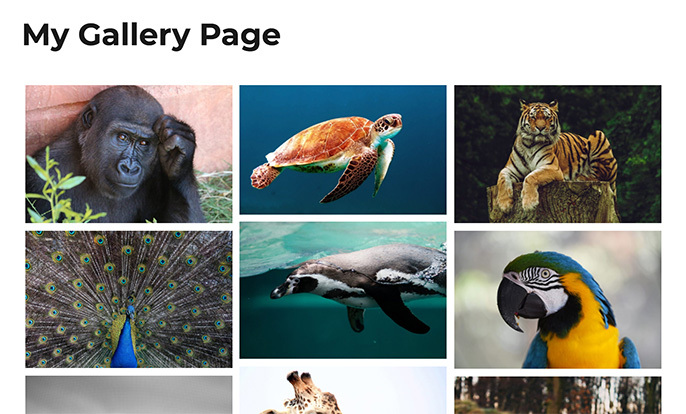 Start by giving your new gallery a title. We recommend you avoid using generic titles and instead try to give your galleries unique and easily identifiable titles to make it easier to manage them later on. You can upload images into your gallery by selecting the Select Images from Your Computer button. 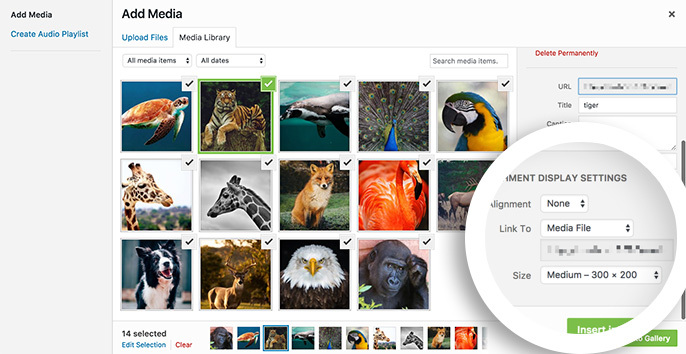 When using this option, your images are handled by and stored in the WordPress Media Library. 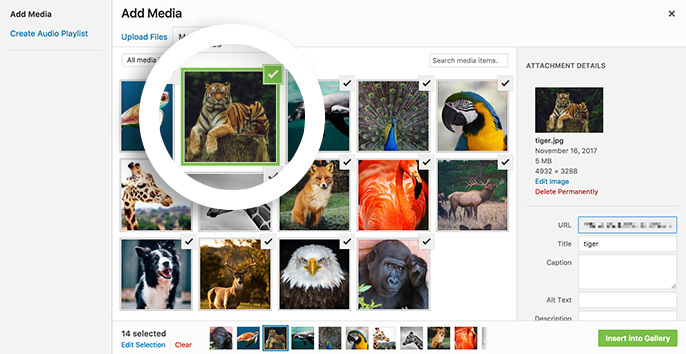 You can add those same images to other places in your site without having to upload them again! If you want to pick from the Media Library in WordPress, click the Select Files from Other Sources. When the window opens, you’ll see 2 tabs to choose from. If you select the Upload Files tab you can just drag and drop your images from your computer into this area and it will automatically upload them into WordPress Media Library. 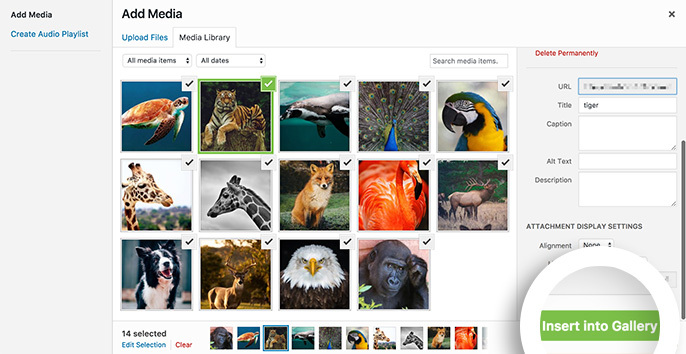 Or you can select the Media Library tab and just pick the images from the Media Library to insert into your gallery. In this example, we’ll be adding images to our gallery from the Media Library. If you want the images you add from the Media Library to show the original image in Lightbox view, be sure the Attachment Display Settings are set to link to the Media File. You can adjust this setting if you don’t use Lightbox functionality and want to link to the Media Page, or a custom URL when the user clicks the image. Once you’ve chosen the images you want to add to your gallery from the Media Library, select the Insert Into Gallery button. Editing the metadata allows you to customize the image Title, Caption, Alt Text (recommended for SEO and for visitors using screen readers) and edit the URL each image links to as well as many other settings depending on the Envira addons you have installed and activated. This will open the Edit Metadata window. Modify any of the fields you wish and select the Save Metadata button to save the changes. You can easily use the right and left arrows in the top right-hand corner of the pop up to edit each image in your gallery and repeat these steps for each image. Next, configure the options for your gallery. Each of the tabs you see for your gallery configuration will depend on your license level and installed addons. You can choose to set up your Number of Gallery Columns on the Configuration tab or Enable the Lightbox on the Lightbox tab. The setup is completely up to you. Once you have changed your settings, select the Publish or Update button to save the changes. 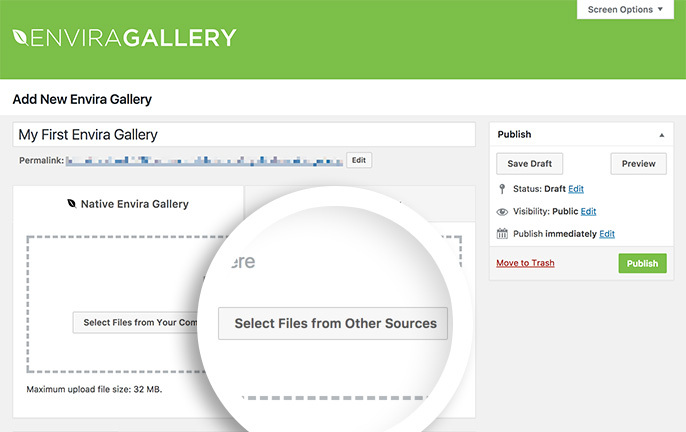 After you’ve published your gallery, you can see your available insert options in the sidebar. 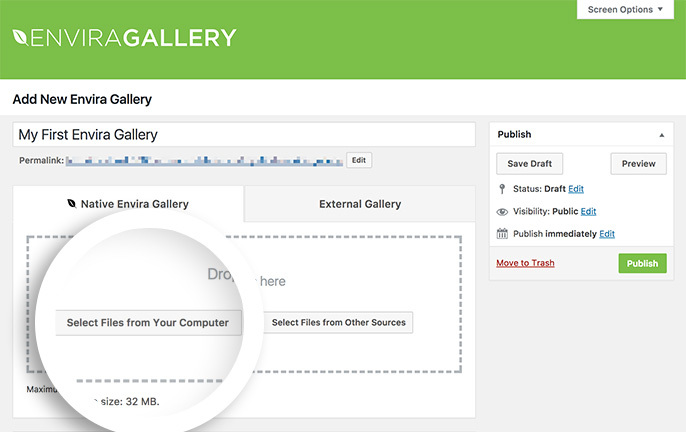 When you create a new page or post, Envira automatically displays an Add Gallery button for you to insert your gallery. When you select the Add Gallery button a popup window will appear where you can select a gallery you want to insert into your post or page. 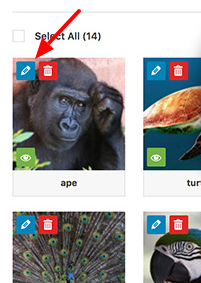 Choose the gallery you want to add and then select the Insert button. 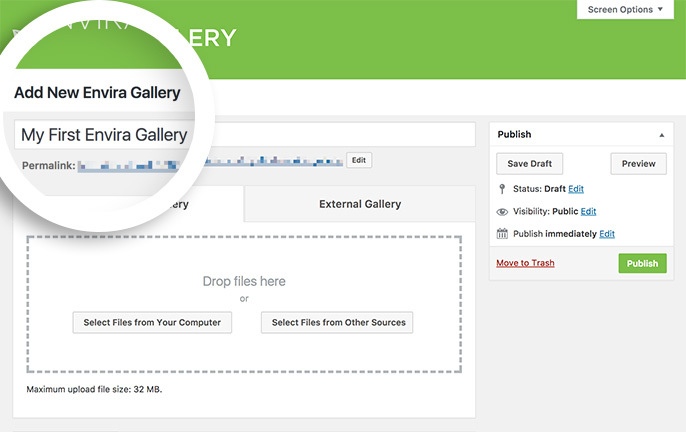 Publish your new page and view it on the front-end of your site to see the new gallery you’ve created. Congratulations, you have now completed your first Envira Gallery! Feel free to go and tweak your gallery as you see fit to best meet your needs. Enjoy! Now that you’ve completed your first gallery, be sure to check out our blog for new tips! Q: What file types are supported on Envira? A: you can use any of the following filetypes: JPEG, JPG, GIF, PNG and SVG are supported. If you use SVG files, you won’t be able to crop the images.